SAN FRANCISCO (November 6, 2011) -– Esteemed wildlife biologist and wild horse and burro expert has given Protect Mustangs a statement explaining how wild horses help reseed the land after a wildfire. The California-based preservation group urges the Bureau of Land Management to allow the remaining wild horses to stay on the Twin Peaks Herd Management Area (HMA) to assist in healing and reseeding the land after this summer’s Rush Fire. The wild horses would be the perfect restorers of an ecosystem after an extensive fire, since they would disperse many intact seeds in their feces which would form well-fertilized bed for their germination. The feces of the wild horses more greatly feeds the ecosystem and creates the vital humus component of the soils to a greater degree than is the case with most ruminants, such as cows, sheep, and deer. Also, after passing through the post-gastric digestive tract of horses and burros, many seeds are perfectly conditioned for germination, as they have their coats made softer and more penetrable by the tender shoots. Many of these same seeds are killed after passing through a ruminant’s digestive tract. In the Twin Peaks, the wild horses and burros would be the perfect, for natural, agents for ecosystem restoration for the above reasons and also because of their great mobility. They do not camp on wet meadows and around and in water sources as do cattle, for example. Also most of the Twin Peaks HMA ecosystem did not burn and the wild horses and burros who survived the fire could subsist here then go reoccupying the recently burned areas as they are restored, all the while aiding in this process. 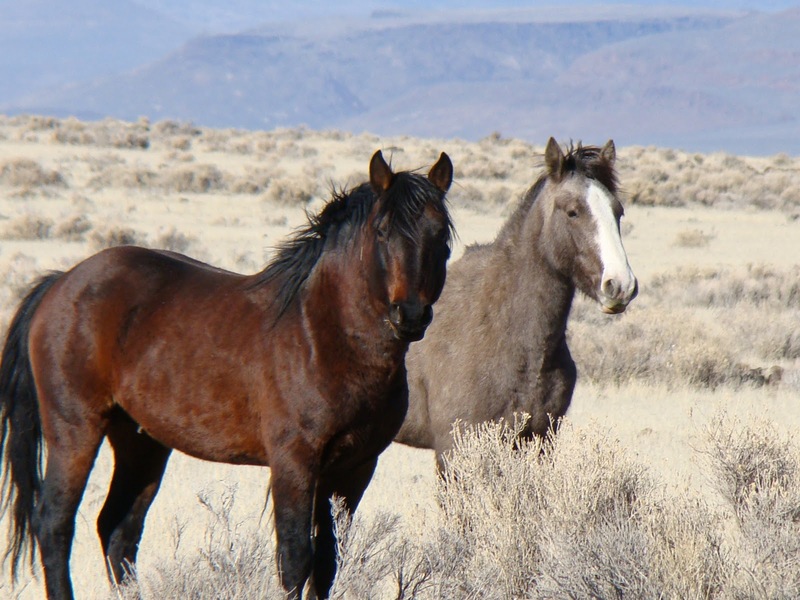 Protect Mustangs is a California-based preservation group whose mission is to educate the public about the American wild horse, protect and research wild horses on the range and help those who have lost their freedom. Next Post Stop Slaughtering Us billboard for horses hits B.C. These authorities over the land should have listened years ago about the value of wild horses and burros in preventing fire and building moisture rich and rich soil ecosystems! Look at the fires now sweeping the West! But will even this convince them?! Why doesnt the BLM know anything about simple biology??? They present themselves as pure and simple buffoons …………………………………….Horses are ec ologically perfect……………………………….The horses go and so does wildlife and then we go also…………………………………………….. I wrote to Craig and asked him about this, and see I was on the right track. And I am certainly no scientist. But if it works in other countries, why not here? Right? Glad to see he has issued this very important statement.